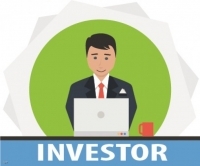 Find suited targets and fitted investors! M&A World provides professional, active investor and target searches, recommended for sellers, investors and advisors. The outcome of this phase is a summary of potental investors or targets open for a potential acquisition with direct contacts for further management. Detailed longlist is prepared based on one of the World’s largest company database according to the prediﬁned and confirmed search requirements. The best ﬁted businesses, highlighted on ﬁnancials, industry sector and actvity are selected and activly contacted by phone and email. Positve replies are forwarded for further management. The combinaton of M&A World Professionals with deep industrial knowledge and the latest IT technologies results competitive advantage in the search process. Active target or investor search discounted fee is 1500 EUR.